Other season 4 guests will include Thundercat and Flavor Flav. The 4th season of Adult Swim's The Eric Andre Show got underway on August 5, with T.I. walking off the set after being confronted by a naked man and his host masturbating through his desk. The good news is that the prank chat-show will have many more musical guests to offend, according to Andre. He told Complex that Flying Lotus, Ariel Pink, Thundercat, Jack Black, OG Maco, Flavor Flav, and more will turn up during the season. There will also be Danny Brown and A$AP Rocky competing in "Rapper Ninja Warrior." 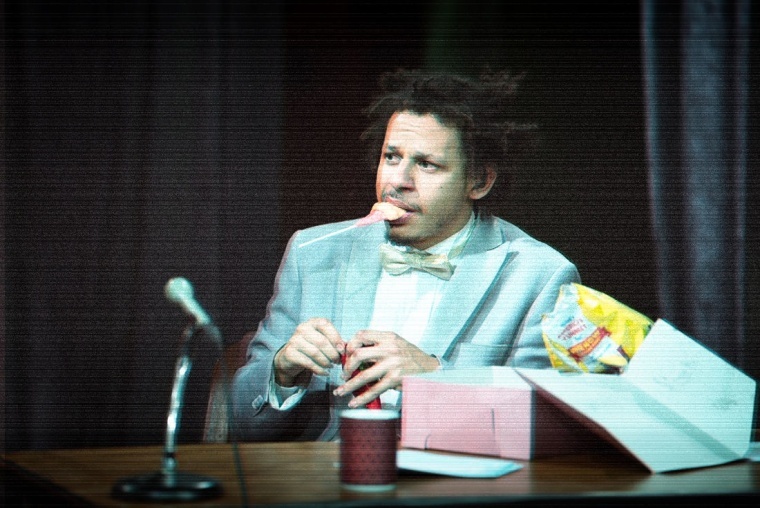 The Eric Andre Show airs Friday nights at midnight ET.